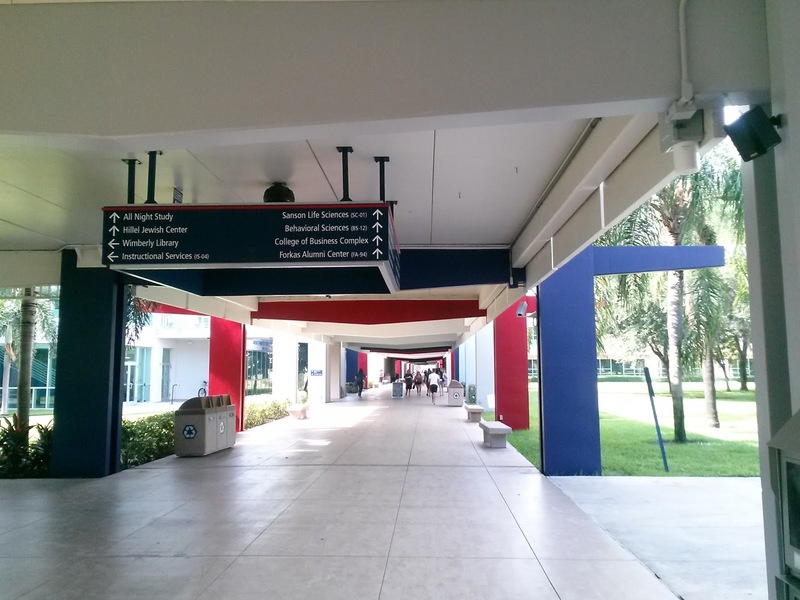 - Back in April 2014 the Breezeway Renovation was full-steam ahead, an architect was selected for the project, and there was a "Re-Inventing the Breezeway" open forum for students, staff and alumni to come out and pitch their ideas on improving the Breezeway, the "iconic pedestrian thoroughfare" of campus. 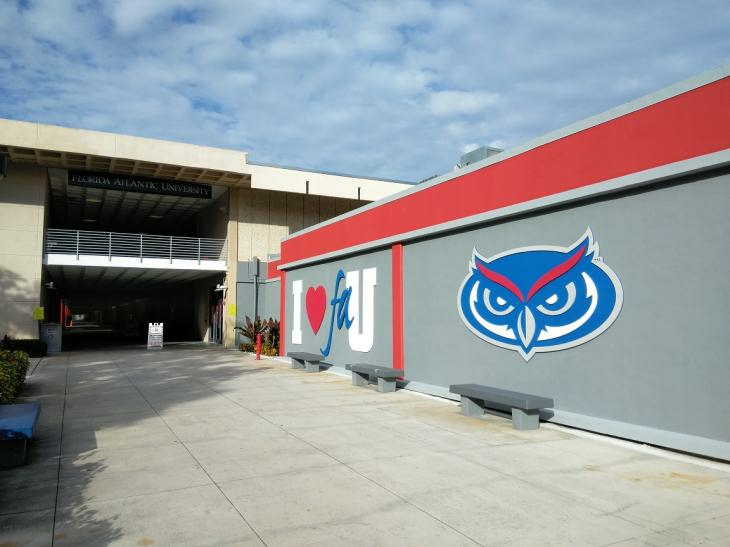 - FAU's own Facilities Management soon after put up a dedicated website which initially had renderings showing, for instance, the West entrance (by the library/Chick-fil-a) having a video board for announcements/school pride stuff - that was a really cool idea. They also showed a new pedestrian bridge along the north side of the Ritter Art Gallery on the 2nd floor, replacing the awful outdated scaffolding with glass walls, a re-done north entrance and the new lighting plan for the Breezeway. Those renderings came down fairly quickly and I didn't post them because I figured FAU didn't want you to see them if they took them down. 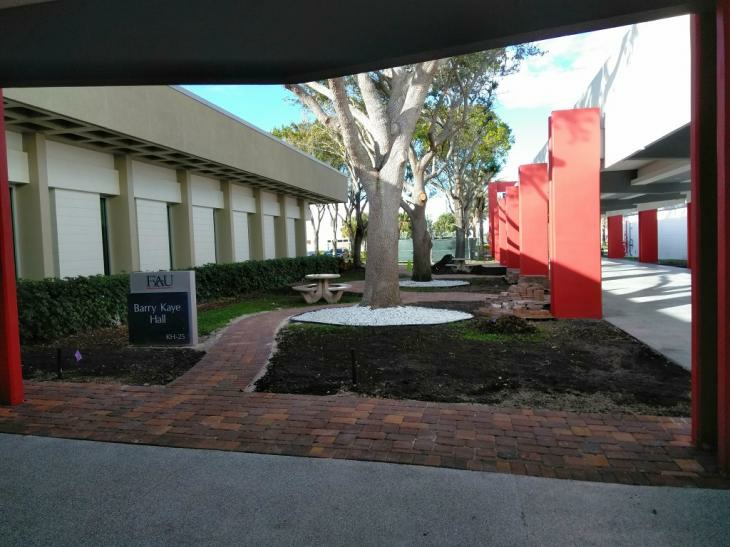 - Fast forward to Summer 2016 and THE BREEZEWAY RENOVATION BEGAN. 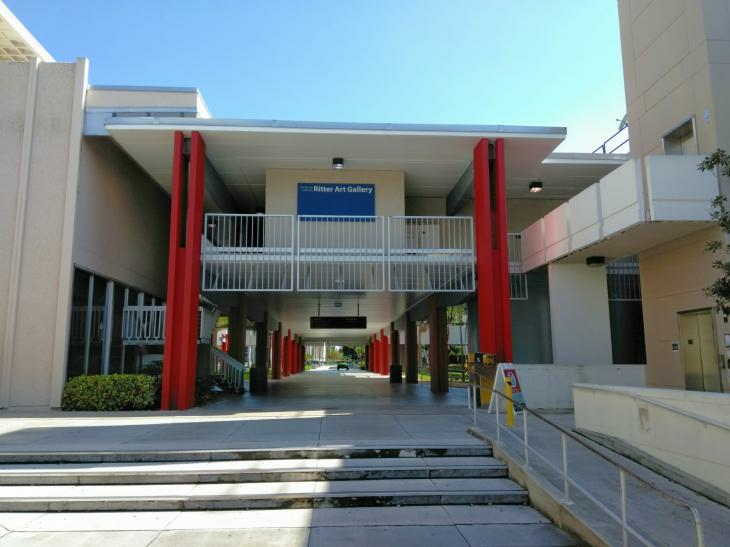 The Breezeway was divided into three phases and work began on the south end. 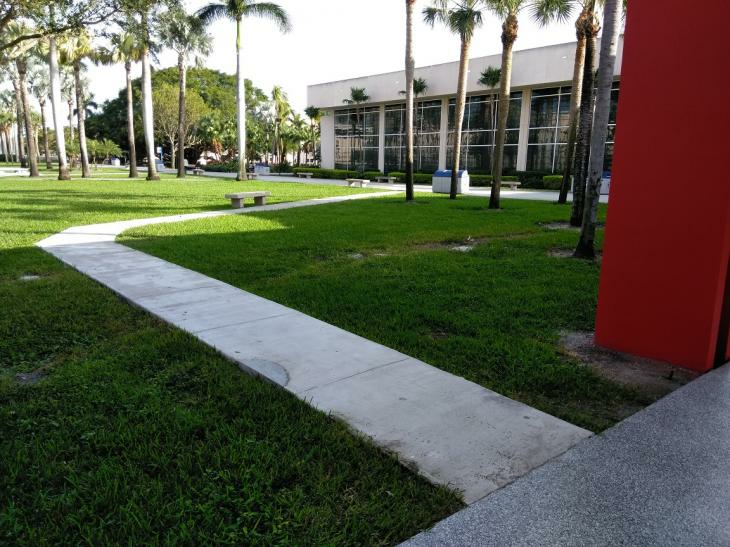 Fences went up, soda machines were moved, students complained about longer times to get to class, and infrastructure work fixed up leakage, re-routed wires, painted, and so on. 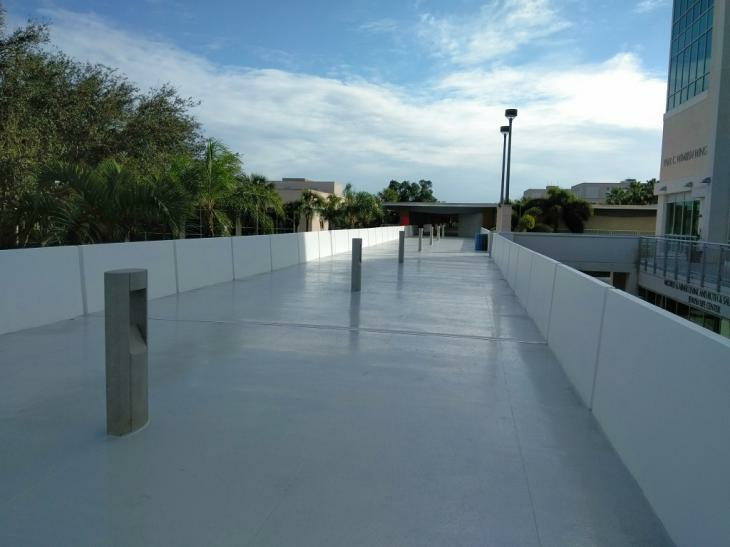 - July 2017 the south end of the Breezeway reopened, although work continued on the north side. Here's the result, as of late December 2017. Let's start with the entrances. Here's the North Entrance by the gym/alumni center. If you're thinking, "Wow, that doesn't look different at all" - buckle up, because there's a whole lot more where that came from. Compare that to THIS IDEA from the architects, which didn't happen (yet?) but could have been a cool touch. Here's the West Entrance by the library. They, uh, painted it red. And the floor is new. More on that soon. If you REALLY know your geography here, you'll notice they removed the main square directional sign in the first picture of this blog because, I assume, it interfered with the new lighting. Again, more on that soon. Let's look at the most oft-used entrance on the south end. 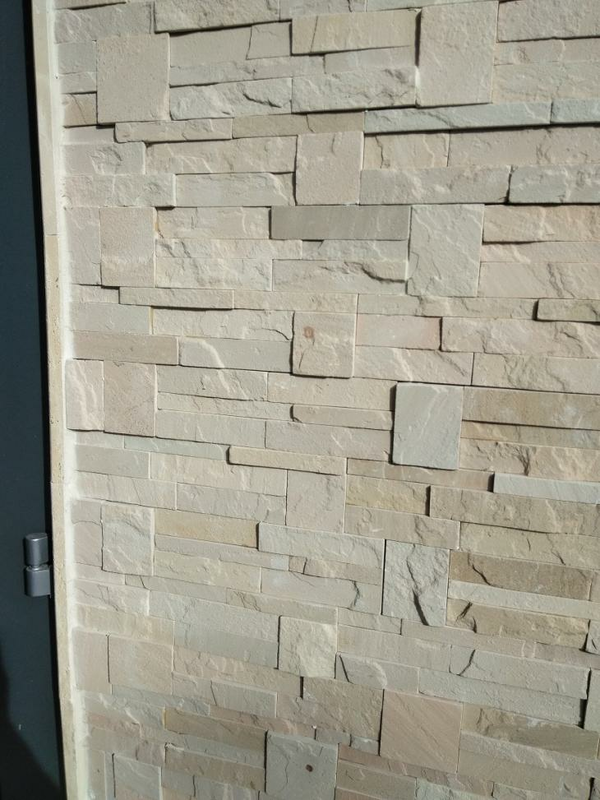 They really did nothing to the physical entrance otherwise? 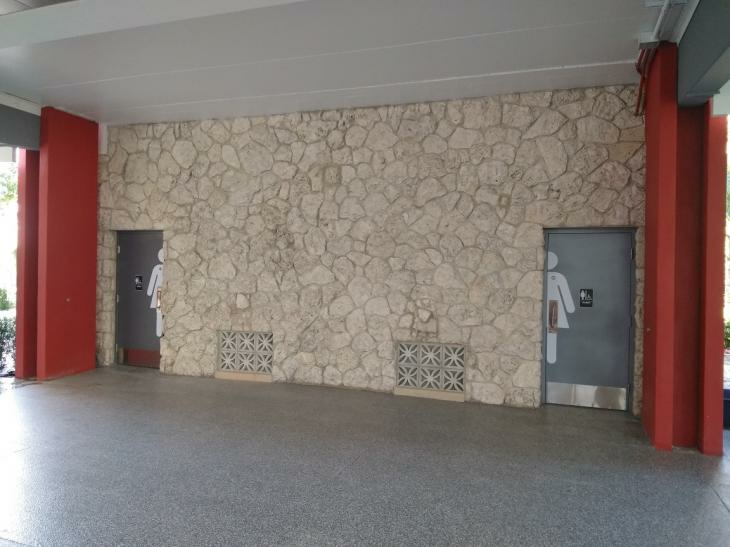 The contrast between the school colors and the beige of the remaining entrance is off-putting. Still a better outcome than THIS IDEA, I suppose. Ugh man, I get the history behind it, but that yellow never worked with the red and blue. Glad we moved on there. Along with this there are new(?) red and blue school spirit trash cans. 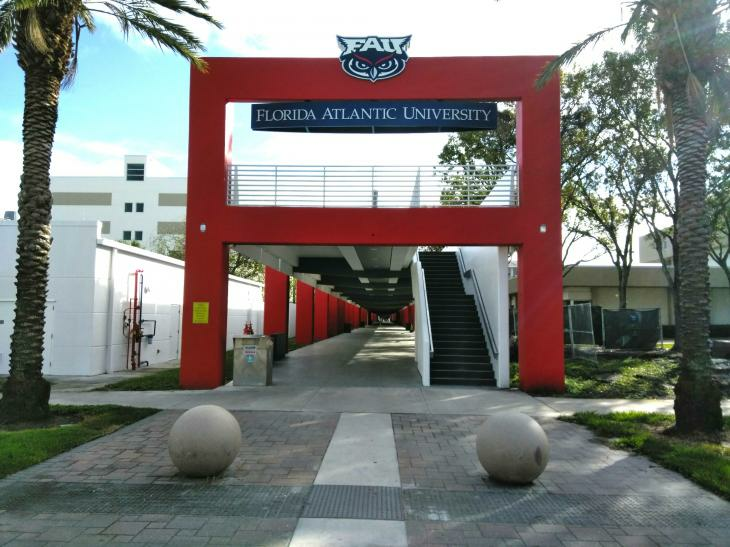 I know that's not a big deal to most people but it's like, if FAU is going to spend money on it anyway, it might as well have red and blue, right? Now let's take a stroll down the Breezeway. First, they took down the awning and I think they put up new siding for the Breezeway Cafe. Not sure why the awning was removed? Speaking of floors, here is probably the Money Shot of the whole blog showing off not only the new Breezeway floor but also the new lighting system. Honestly, the floor is nice. What else can you say about it? It's gray, so that's a school color. And it's better than when we painted it a dark brown to cover up how dirty it was. I guess we could say that it creates and frames a rectangular courtyard on the east side of this by the tables and benches, but I feel like it's you're going to cut off that pathway from the Breezeway to the Spaceship with such an obvious obstruction, why not add some wooden urban stairs or something on the east side of this wall to really emphasize the social space? 1) The temporary path that was created to get around construction in the middle section is now a permanent sidewalk, which is an unnecessary decision. I guess they figured students were so used to taking it, might as well make it permanent? That's not a strong argument, in my mind. Sometimes universities will create triangles bridging their 90 degree angles, which might have worked here to join up with the east side pathway of the GS building, but honestly the pathway wasn't needed once construction was done, in my opinion. 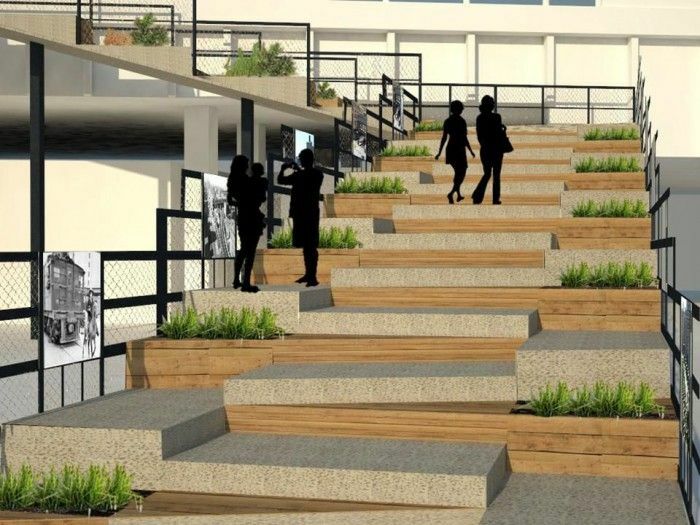 There's also no grand staircase in the middle like THIS RENDERING FROM THE ARCHITECT suggested. At this point you might be wondering what they did to the second floor since there was talk about shade, planters, maybe more social uses? Now, granted, I didn't walk the entire thing. I did see the second floor at each end and this, so technically I could have missed something, but I don't think so. Anything else? Well, they added some red brick pavers and tables near Business East. I'm sure they'll add some red and blue umbrellas here too. 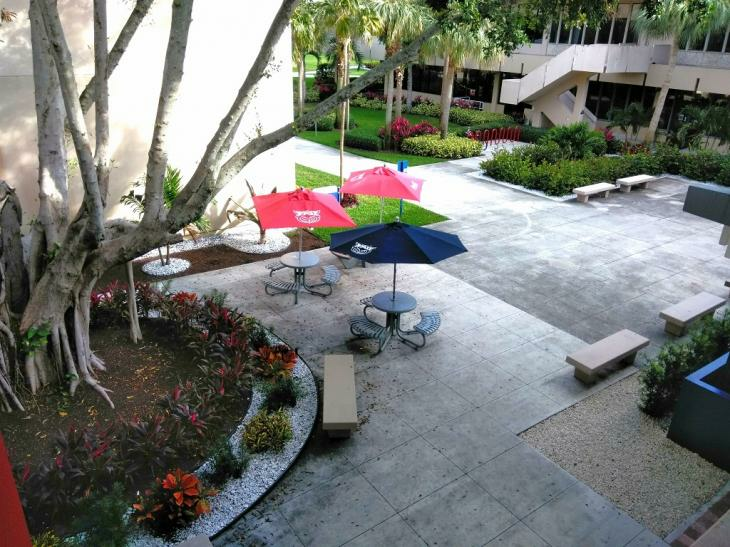 Those tables are rock hard and uncomfortable, and I get that they want to create more social spaces off the side of the Breezeway, but I don't often see people sitting at them. 1) The Breezeway may not be fully-realized yet. Just because it's open doesn't mean it's done. 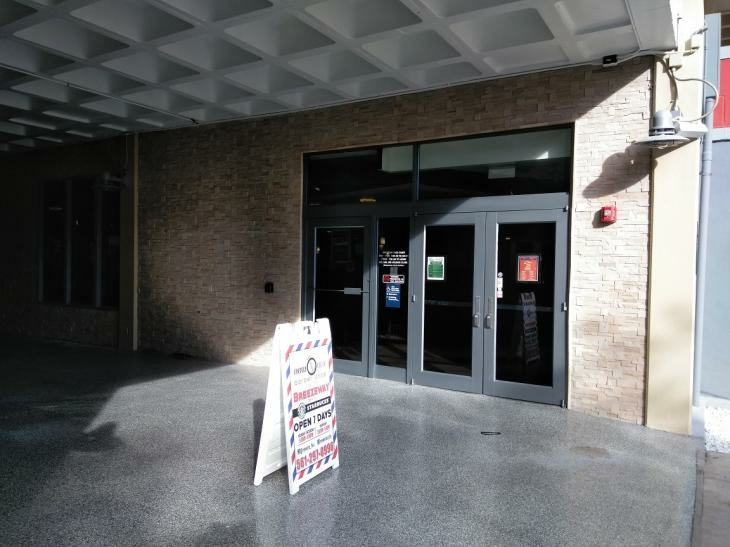 The Breezeway has always been an ongoing project and usually sees improvements over the summer when students are gone. 2) The budget for this was (if I recall correctly) $3.4M, not $30.4M, so there are financial limitations on this considering that encompasses design, construction, contingencies, etc. Unless you're on the inside you don't know what features were planned and shelved, which is common in projects when something comes up and draws money away from that aspect, so they go "simpler". For instance, painting is clearly cheaper than constructing and painting new facades for the entrances. It could also explain why we didn't get the shade or the glass half-walls replacing the concrete ones on the second floor. 3) Although this project was pitched as "Re-Inventing the Breezeway", it was technically about: waterproofing the second story because everybody complains it leaks (which wouldn't be seen here), improving the lighting system (which they did, although I didn't realize there was an issue with it), other infrastructure improvements and creating more social spaces (which the tables and benches do). Hence a big part of the budget went to that stuff rather than, say, an Owl statue or a huge video board. 4) There are good things. The floor is great, the bathrooms are an awesome upgrade, we did get more school spirit, and... yeah. 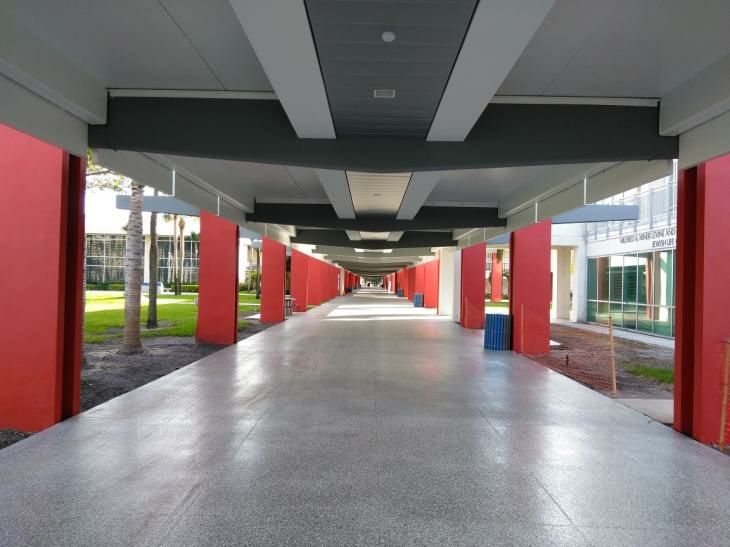 The Breezeway is done so the students can't complain anymore. 5) Side note: just noticed a line item in the Minor Projects List for $50,000 for "Breezeway Improvements" which may be what paid for the tables/umbrellas/pavers. 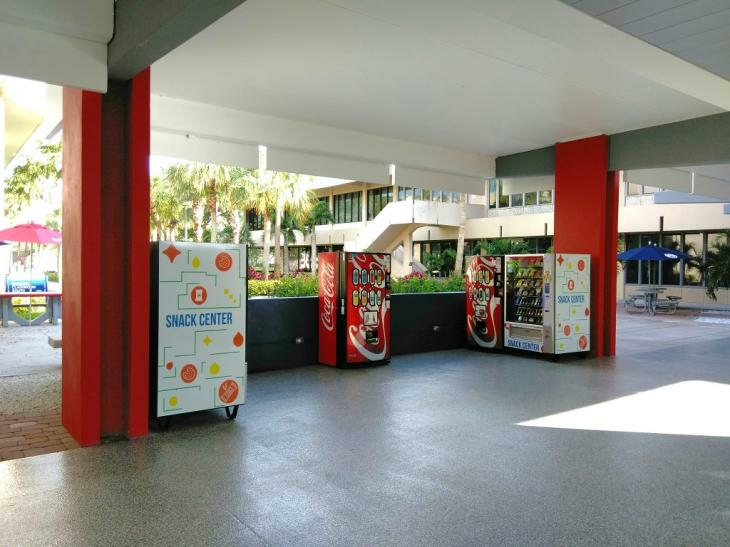 Honestly when I first read about this and attended the ReInventing the Breezeway Meeting I was really pumped up about what we could do with this space. I was thinking urban stairs, interactive video boards showing the weather/ocean, bathrooms with raised sinks and backlit mirrors, a grand staircase with a restaurant underneath, the glass half-walls, and a High Line-style second floor (with an enclosed "airport terminal"-style second floor down the line). And maybe if we had $30.4M to work with we could do all that, but we don't. I don't know what decisions we could have made, what we could have afforded instead of what we chose to do instead. And I'm not the architect, or an architect, and I'm not FAU paying for it. This is their project. Maybe they're thrilled with it. But every time we talk about improving the university, about unbridled ambition, I feel like this is what we need to reach for. We need to take a functional space - the Breezeway was never built as a social node, it became that simply due to its centralized location - and make it a bonus. 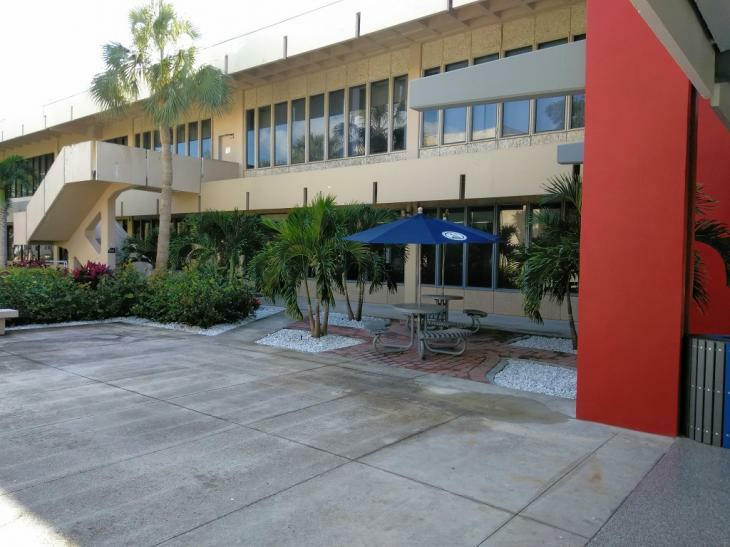 Make every potential student who comes here, athlete or otherwise, say, "Wow, the Breezeway was incredible." You can do this in baby steps. You can put down planters one year, add a 10 foot multi-panel video board the next year, add urban stairs, or whatever. You can build that in pieces, and we should. We can constantly evolve this, and I don't think we need to hire an outside architecture firm when our own architecture and design students are so good. Not only are they good, but they live the space every day, they know how people use it and where the opportunities are. They're FAU students and this is their home. They are there at the forefront of what's cool now, and maybe that's a bench seating with underlighting and an extension that rises up to become a table too, something contemporary like that, or maybe something even better. Hopefully this is the beginning. Hopefully we'll add more contemporary furniture, add more greenery, add more art, add more technology, really create an interesting space for students, staff, visitors, everybody. I think the concrete sidewalk was done due to ADA compliance, it might be removed. They originally had mulch walkway but was pretty soggy and muddy, to the point where wheelchairs would have a difficult time.